New payment services are flooding the eCommerce space. But which ones should retailers use? NEW YORK, United States — Fashion brands and their customers have a commitment problem. Brands spend heavily on social media and search engine ads to steer customers to their custom-designed online stores. Those shoppers fill their virtual carts with shoes, bags and apparel — and then, more likely than not, abandon them just before clicking purchase. Nearly 70 percent of online carts are dropped before checkout, according to the Baymard Institute, a research firm. The latest battlefront in online retail is in the checkout queue. Retailers from H&M to Nordstrom are shaking up how they handle payments to raise the odds of completing the sale. Some offer installment plans for big purchases or allow customers without credit cards — a category that includes two-thirds of millennials — to take out small credit lines. Others are introducing “buy now, pay later” options that allow customers to try on clothes at home before paying. These efforts are supported by startups with a simple proposition for retailers: make completing a purchase as fast and easy as possible, and watch sales climb. Affirm, a payment processing firm specialising in installment plans and credit lines, is used by more than 1,200 sellers including TheRealReal and La Garconne. Rivals include AfterPay, QuadPay and, as of last month, payment giant Square. Klarna offers several payment options, including a “try before you buy” approach that H&M plans to roll out after investing $20 million in the Swedish startup in October. OnApproval plans to introduce a similar model for luxury retailers, with pilots set to start next year for Nordstrom, The Webster an Alice & Olivia. Some 700 companies tout “fintech” solutions in the retail space, according to BoF and McKinsey & Company's State of Fashion 2018 report. Matching the right solution with the right customer can be tricky, experts say. 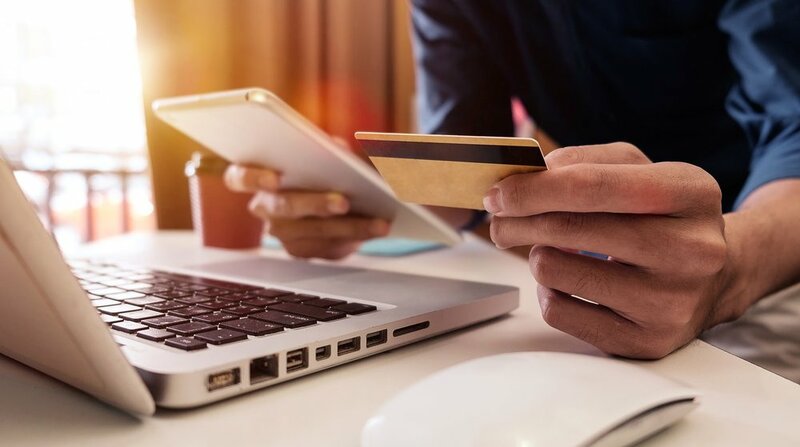 An installment plan option might be attractive to consumers wary of putting major purchases on their credit cards, while an affluent shopper might place more value on an easy checkout process or personalised customer service. These services also tend to be more expensive for retailers than standard credit-card payments, Silverman added. Installment plans and other unconventional payment methods are being egged on by the wider move in retail toward renting, rather than owning, said Joseph Sartre, a partner at retail-focused venture capital firm Bleu Capital. Shoppers are already primed for “try now, pay later” or monthly installments by services like Rent the Runway and Stitch Fix. “Financial models like Affirm will prevail because consumers are used to deferring payment or monthly payments, like how they’d pay for a subscription service,” he said. For Steve Madden, it never even occurred to Silverman that the retailer needed an alternative payment service until his Australia distributor insisted that it employ Afterpay — that, and the low transaction fees Afterpay offers compared to the others in the space. He added that Afterpay, Klarna and their peers will likely get more competitive with pricing, as it’s unclear whether consumers have brand allegiance to any of them in particular. H&M will integrate multiple Klarna services into its store checkout process and online shopping, delivered through the H&M app and loyalty program, said Michael Rouse, chief commercial officer of Klarna. The startup was valued at $2.5 billion last year, according to TechCrunch, and has previously raised money from Visa and private equity firm Permira. OnApproval also enables retailers to ship items to shoppers’ homes without charging them. In luxury, this creates an opportunity to “upsell” — allowing retailers to send additional items as if recommending shoppers extra items, much as a salesperson would to a customer in a fitting room, said Alvin Valley, one of the company’s founders. “We want [the consumer] to not think about what it costs beforehand. Luxury goods sell themselves by way of experiencing them. Placing price before experience drives cart abandonment,” he said. Financial models like Affirm will prevail because consumers are used to deferring payment or monthly payments, like how they’d pay for a subscription service. OnApproval will also screen customers, excluding those who make too many returns. That list — and the data generated on what those consumers order — would be valuable to retailers, Valley said. Data is a huge value-add for Klarna’s retail partners as well. With nearly 70 million consumers on its platform, the company can offer retailers better targeting and demographic information. Affirm is another option for retailers that offer big-ticket items. The startup opens up a line of credit at varying interest rates for consumers depending on their credit scores and size of purchase. Some consumers have the opportunity to pay no interest at all, depending on what they are approved for. On average, Affirm’s retail partners have seen increases in sales conversion and average order value, she said. At Tamara Mellon, for instance, 11 percent of all purchases are made with Affirm, returns have gone down 13 percent, and the repeat purchase rate with Affirm is 16 percent, higher than the typical rate, according to an Affirm case study with the shoe brand. Afterpay positions itself as the “anti-credit” solution, allowing customers to split payments into interest-free installments. Customers include Urban Outfitters, Revolve and Showpo, an Australian online fashion retailer. Afterpay, listed on the Australia exchange, has a market capitalisation of about $2 billion. Last month, the company partnered with Revolve to launch its first in-store option in the US. Both Afterpay and Klarna have developed mobile apps for in-store uses. According to Klarna’s Rouse, honing the online to offline shopping experience is how retailers and direct-to-consumer brands can compete with digital giants like Amazon.